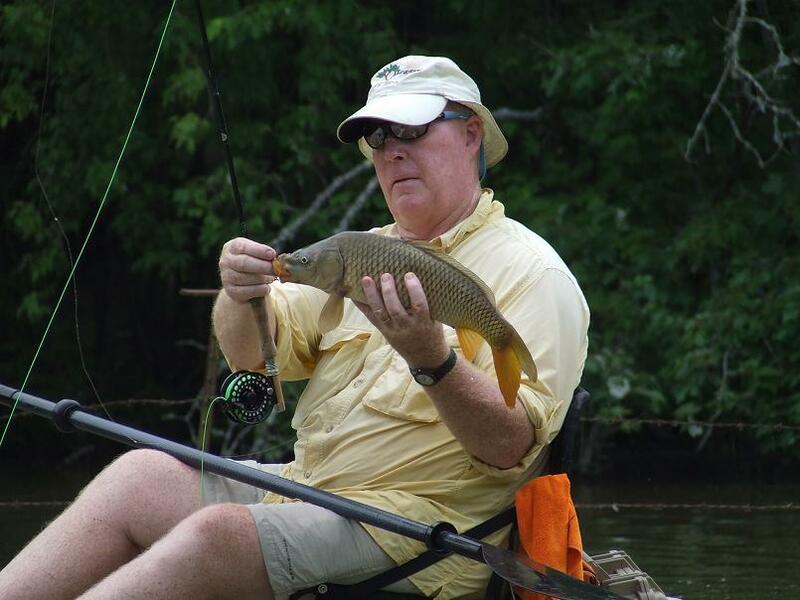 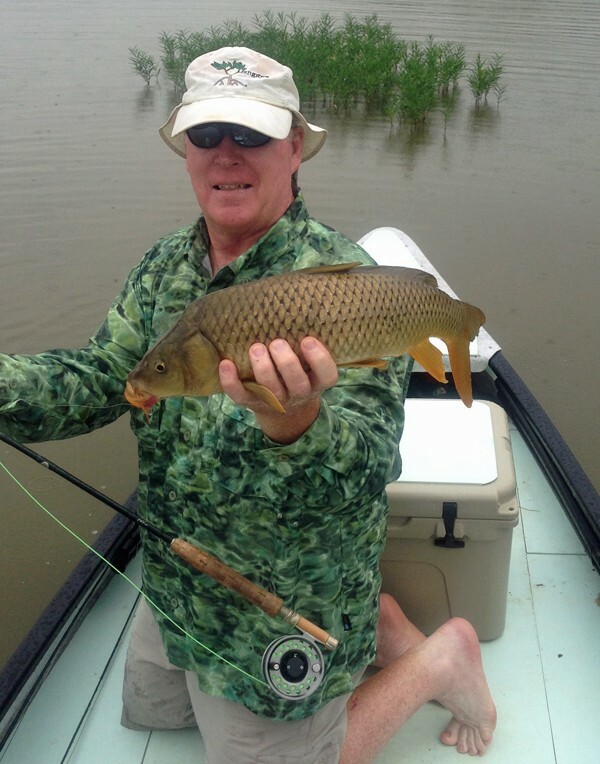 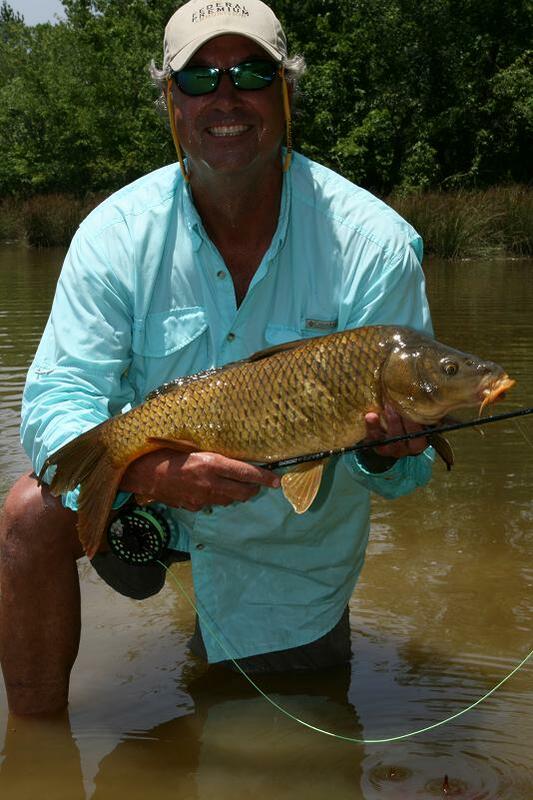 Fly fishing for Carp, also known as “the poor mans bonefish”or as we call them at Chattokee Lodge, “The Golden Ghost”, is becoming very popular due to the challenge of catching these fish. 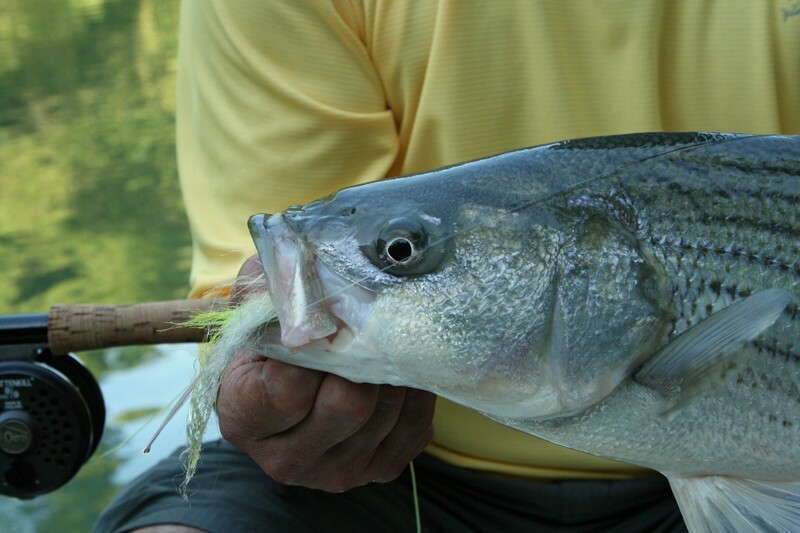 Spend a day or two with our guides poling the shallow flats taking shots at these spooky hard fighting fish. 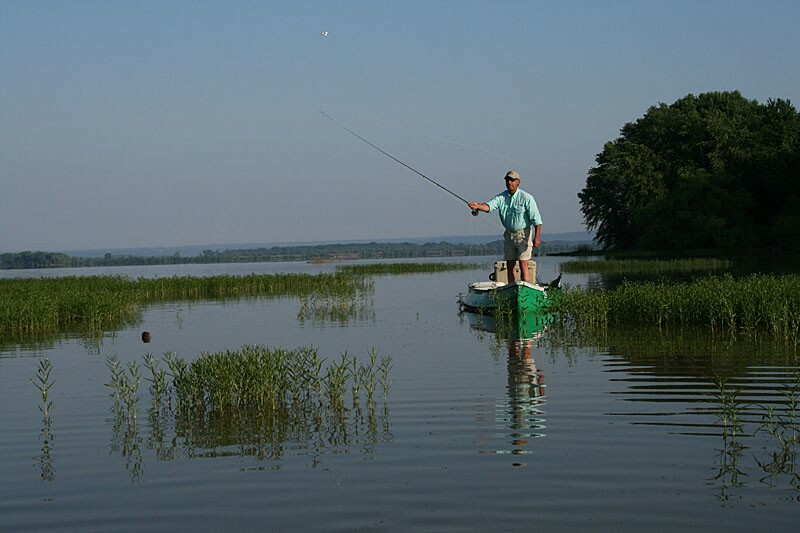 If you enjoy sight casting at tailing fish then this experience is a must. 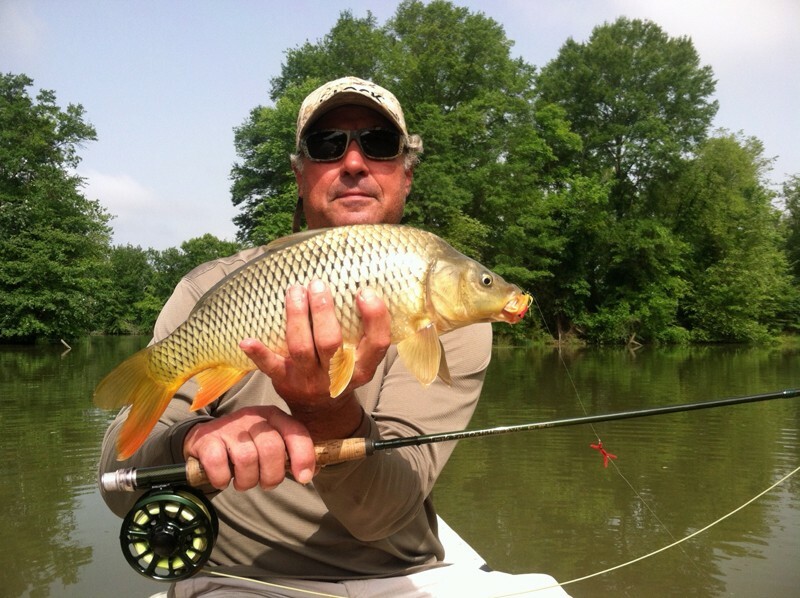 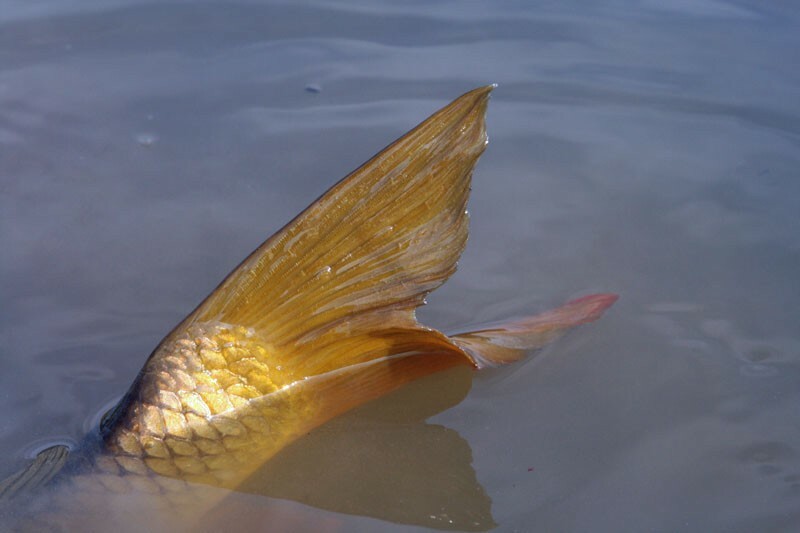 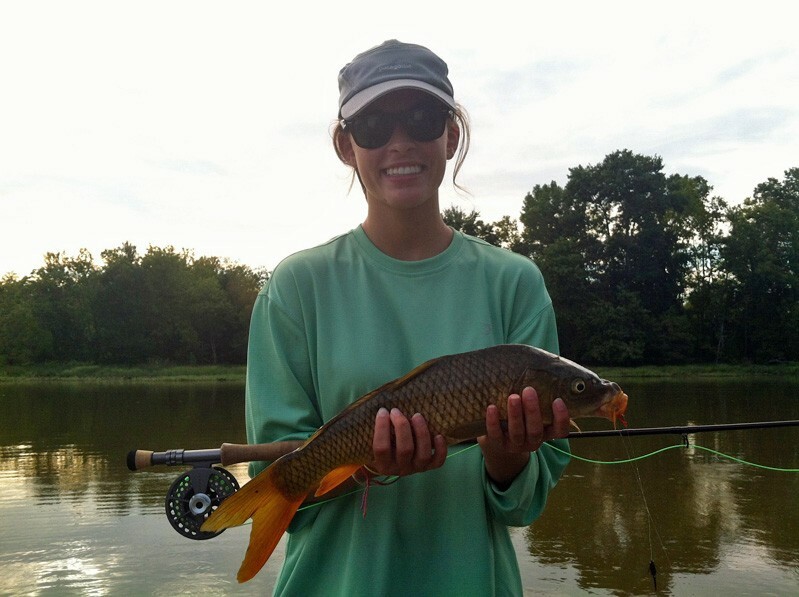 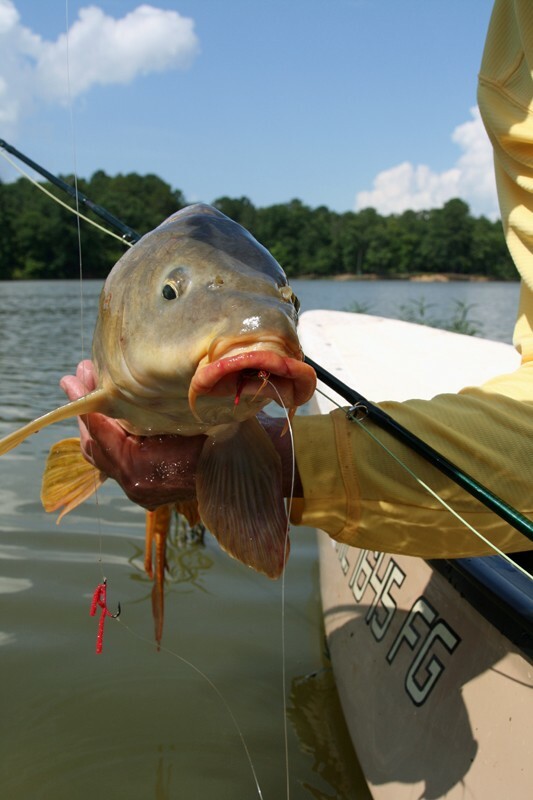 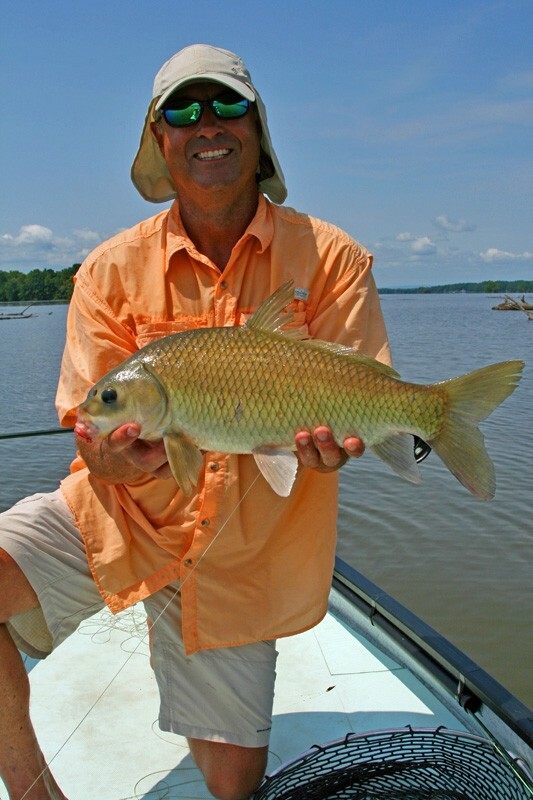 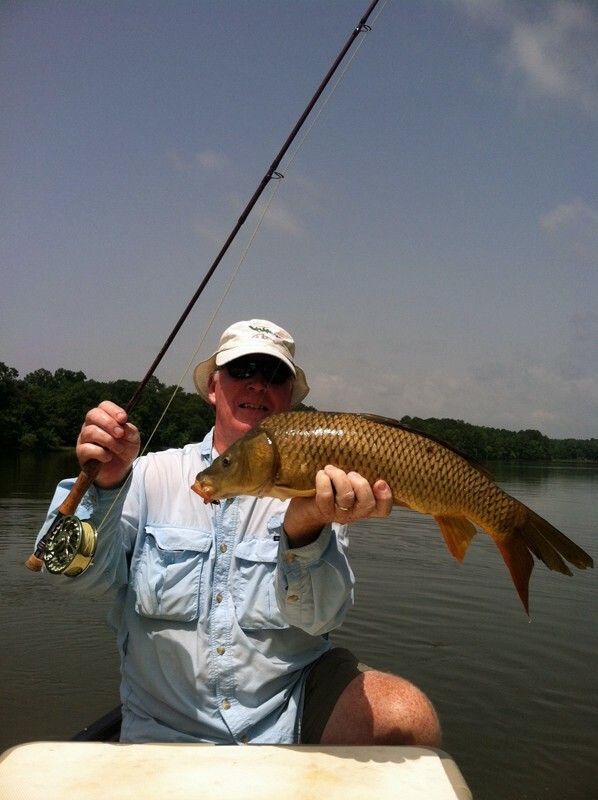 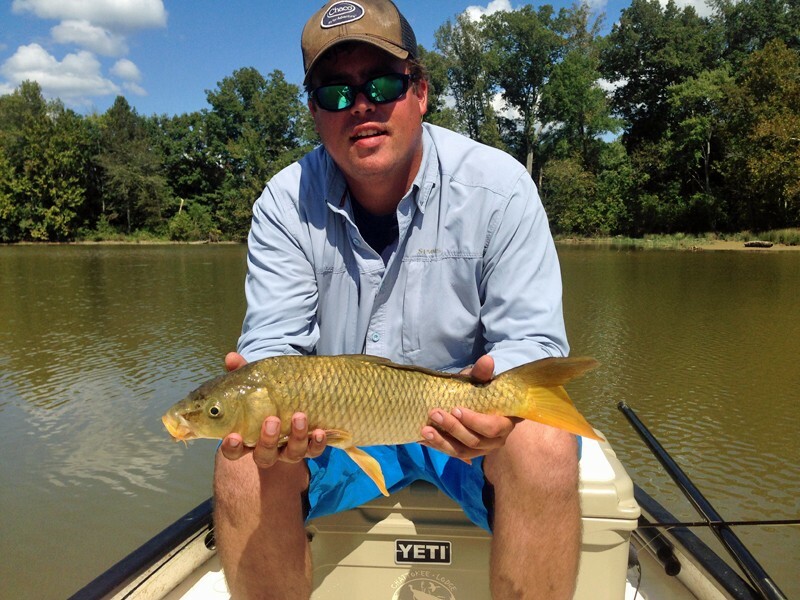 For more information on fly fishing for carp, see our article “Hunting the Golden Ghost”. 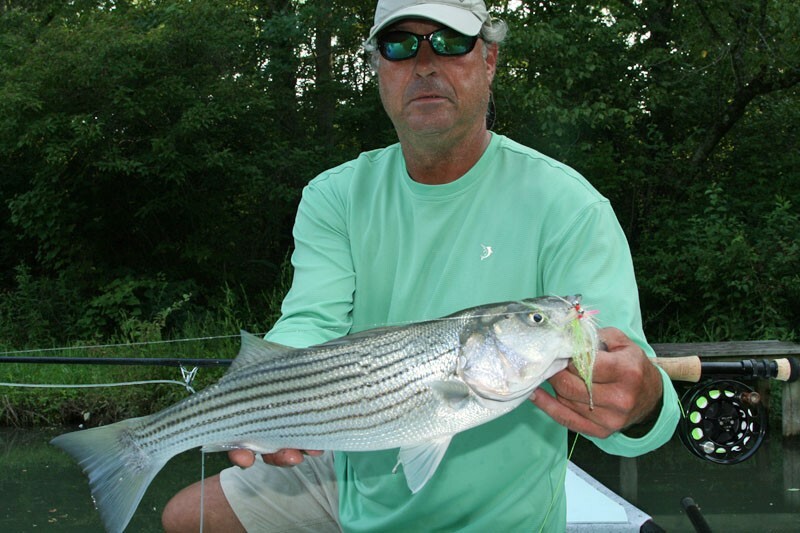 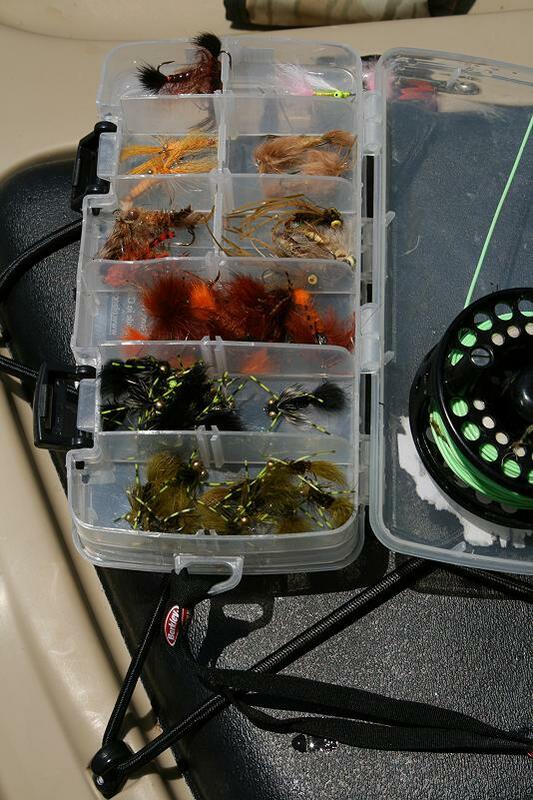 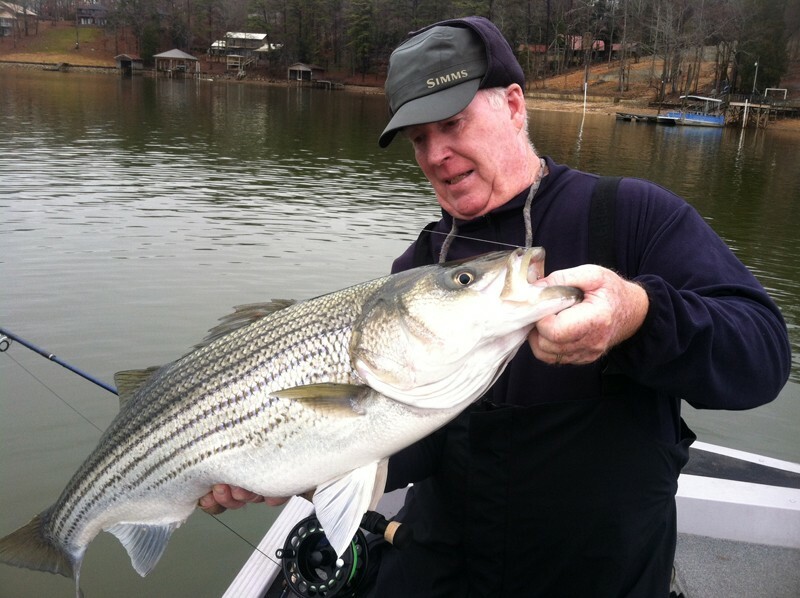 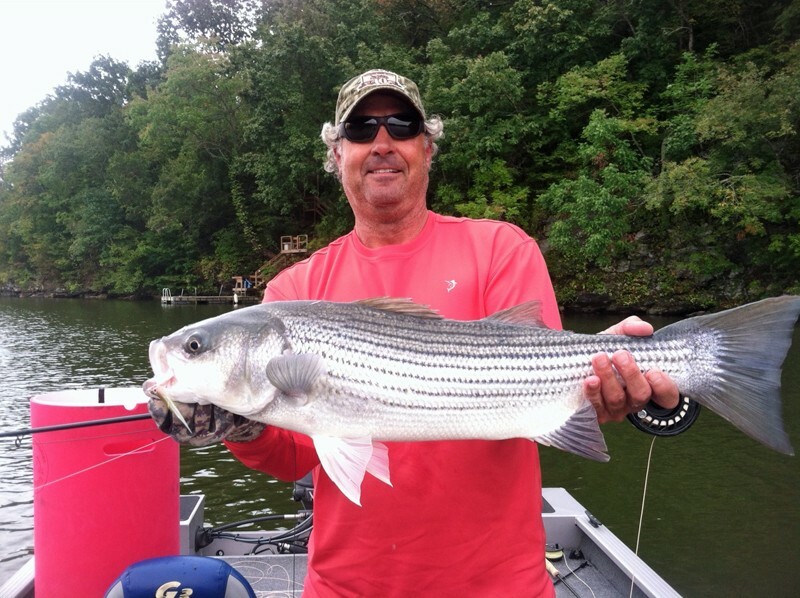 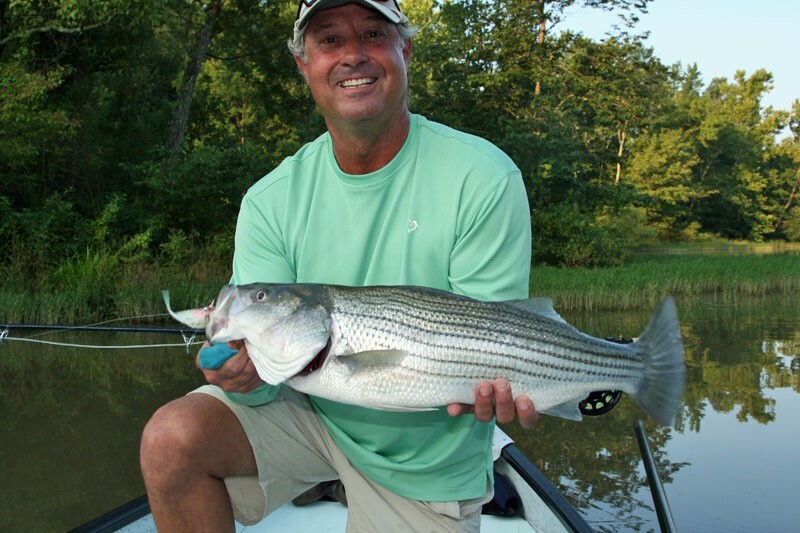 For the fly fishing enthusiast who would like to target stripers or Spotted Bass on fly, 2 different methods are productive depending on the season. 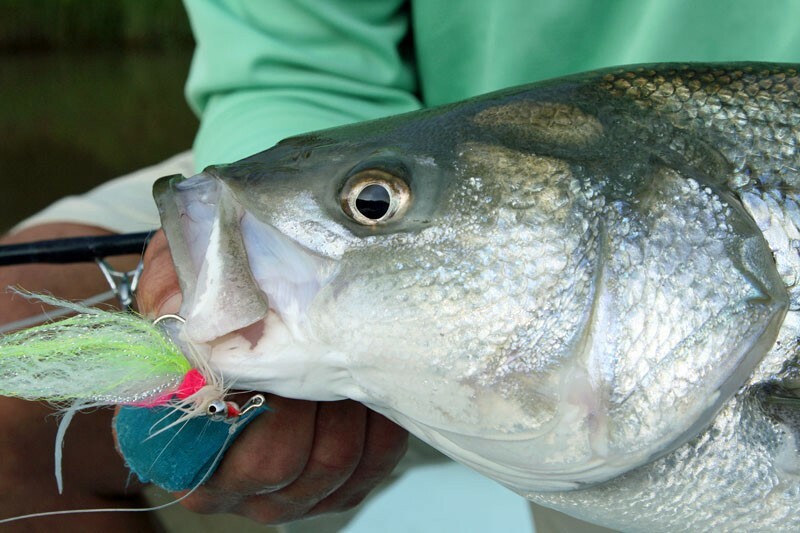 During the winter months, stripers school and gorge themselves on shad on the shallow flats providing an excellent chance to hook up with these hard fighting fish. 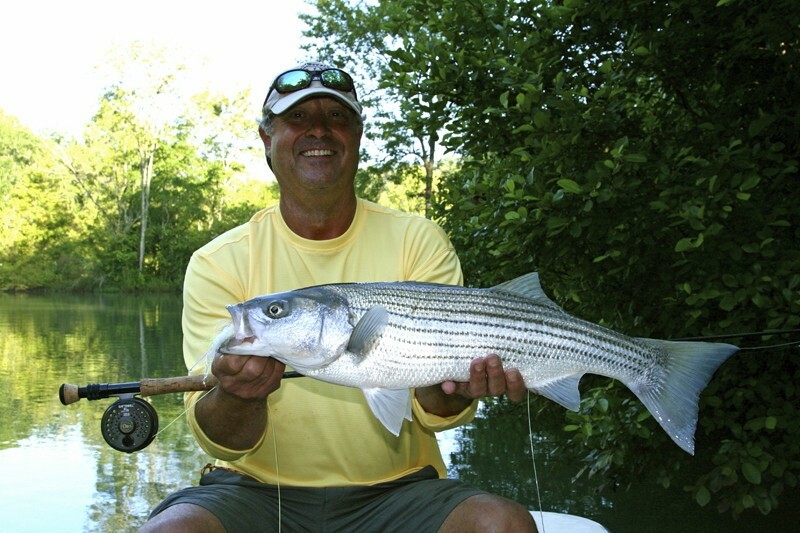 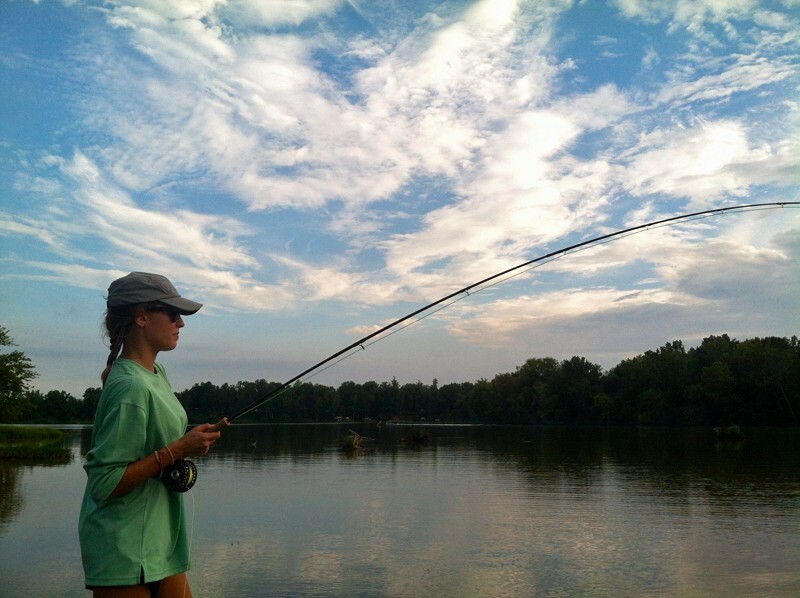 In the summer, stripers and spots move to the cooler waters of the rivers and streams. 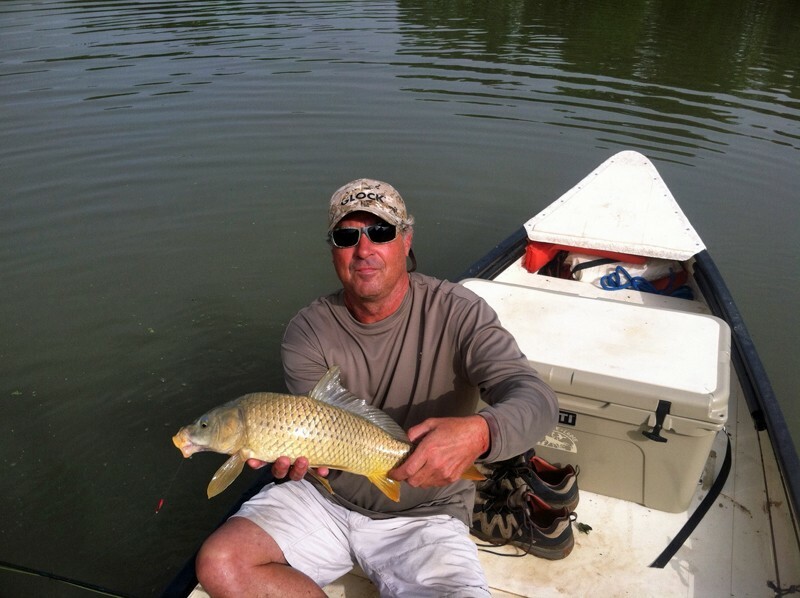 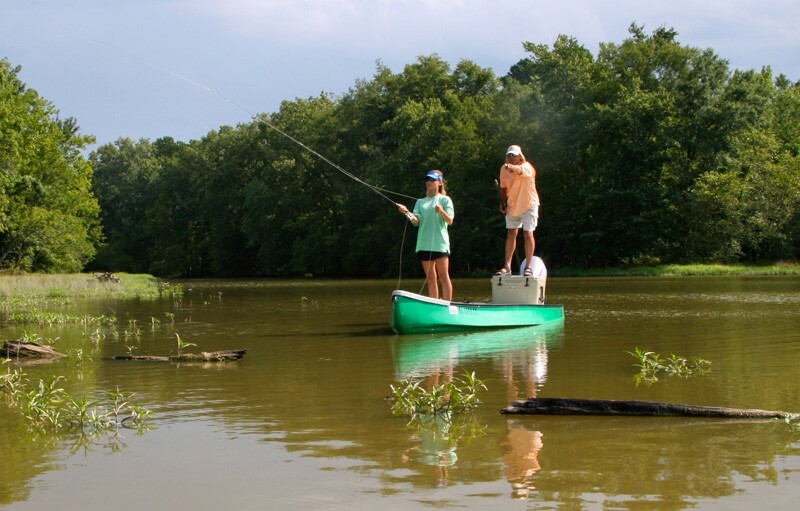 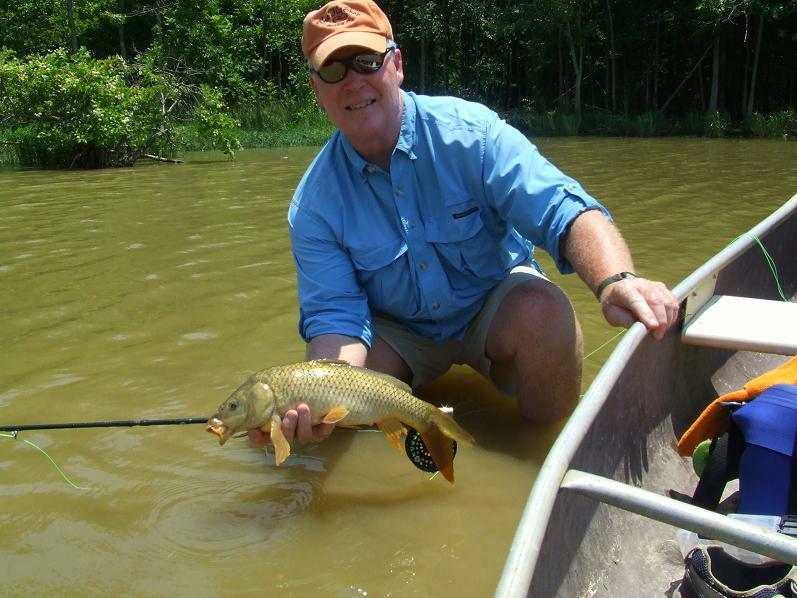 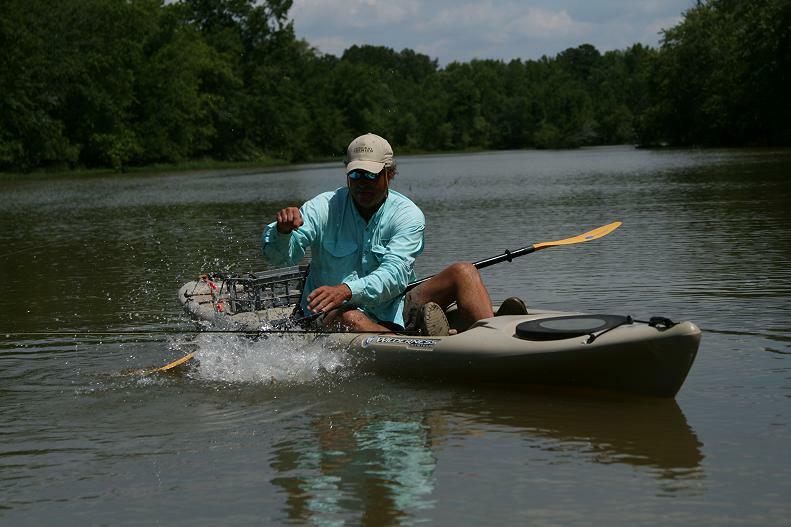 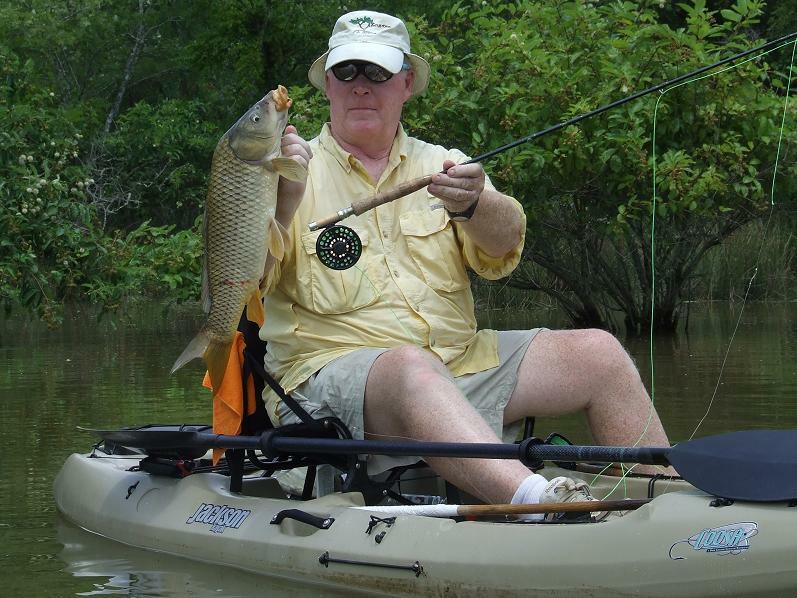 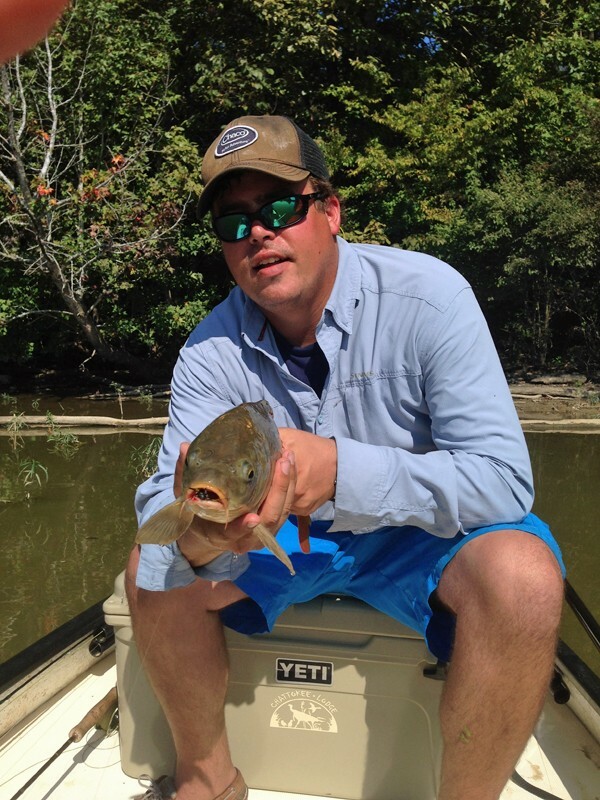 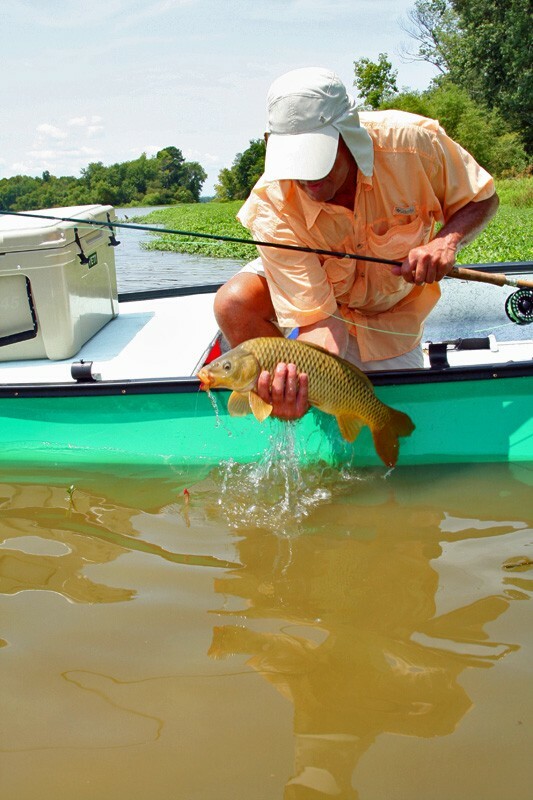 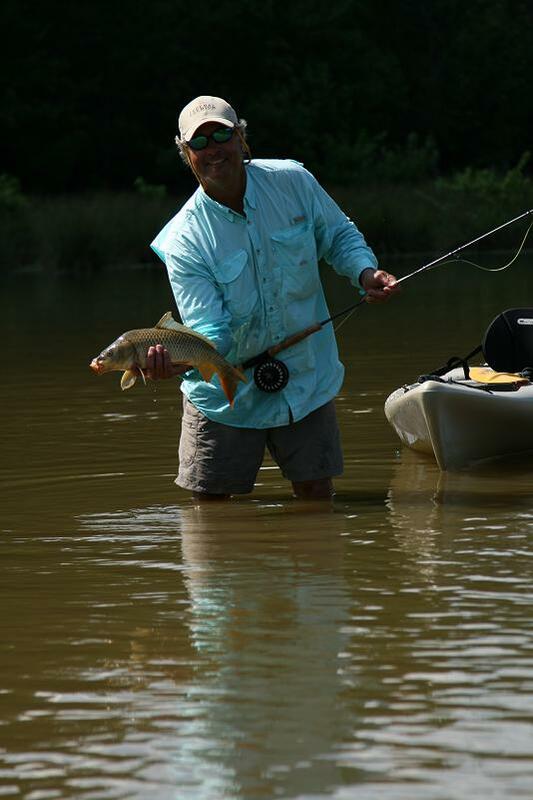 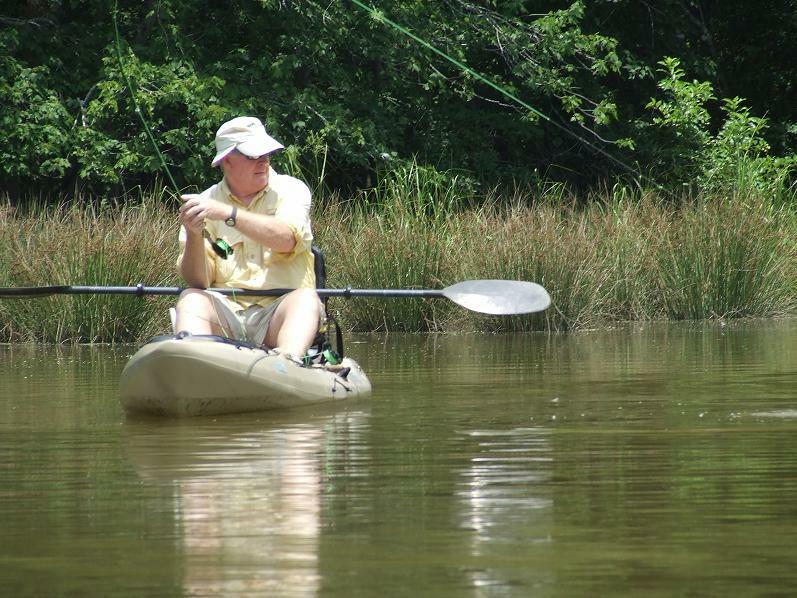 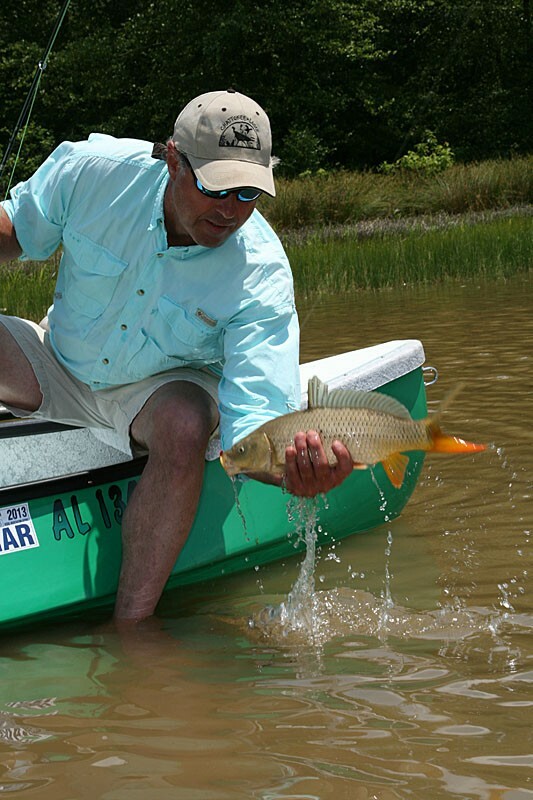 Float fishing from a kayak or canoe is the preferred method of targeting these fish.